Amazon has unveiled its latest attempt at devising a last-mile delivery bot in the shape of its six-wheeled Scout. 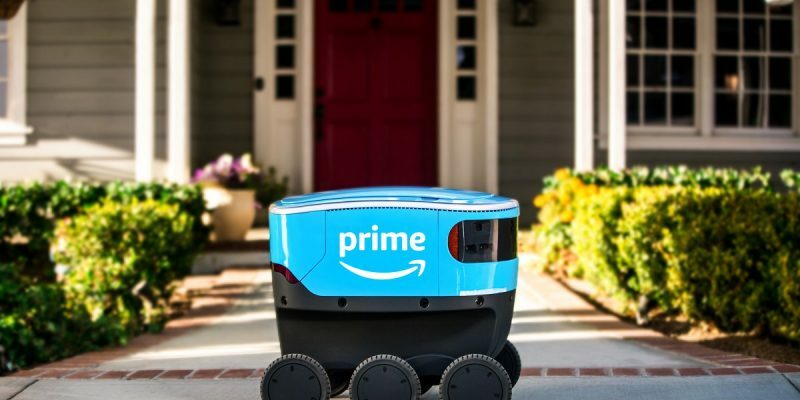 While the digital commerce giant has invested in several pilot schemes with similar technology, many see the Scout as the best rendition of a plausible autonomous delivery bot to date. In a company statement, the Scout is described as a fully electric autonomous vehicle the size of a “small cooler” that will run along pavements stopping at the desired addresses where the consumer can retrieve the orders. Amazon say the service has started work in Washington State in the US but each bot will be accompanied by a human company employee until the service has proved itself reliable and, presumably, until city regulators give it the green light to work without human oversight. A promotional video shows the bot automatically opening its lid when the customer comes out of the home address to obtain the order. While there were few other details about how the service will work, it’s likely that it will be app based and consumers alerted through their smartphones when the Scout has stopped at their front door. However, concerns have already been raised over safety issues of having robots roaming pedestrian pavements in previous pilot schemes and the prospect of unchaperoned Scouts delivering parcels could still be some way off in the future.